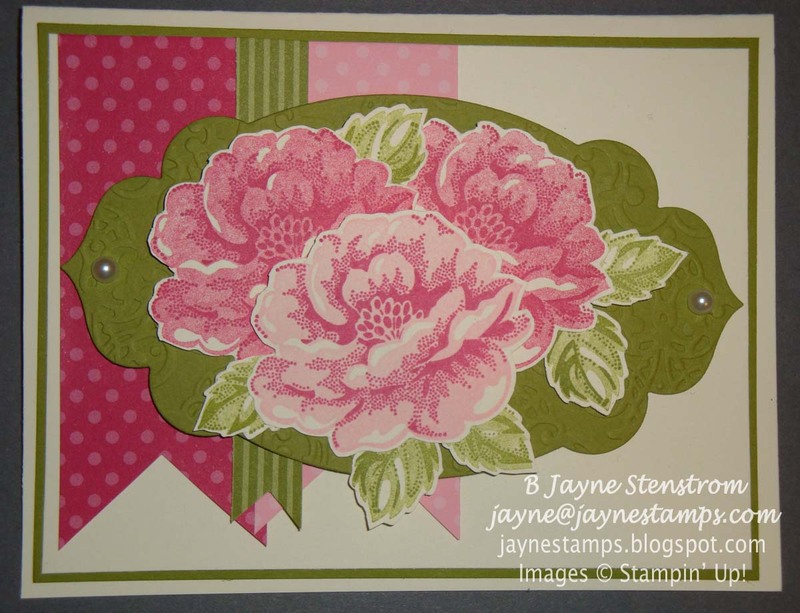 As I have mentioned before, I love flower stamps. Since I'm not much of a gardener, I love to be able to stamp beautiful flowers. Plus stamping isn't as dirty as digging in the dirt. Don't get me wrong, I am VERY impressed with people who have green thumbs, I'm just not one of them. But I digress... I saw this card layout at my friend Diane's house a couple of weeks ago. I absolutely fell in love with this card and wanted to re-create it for myself. 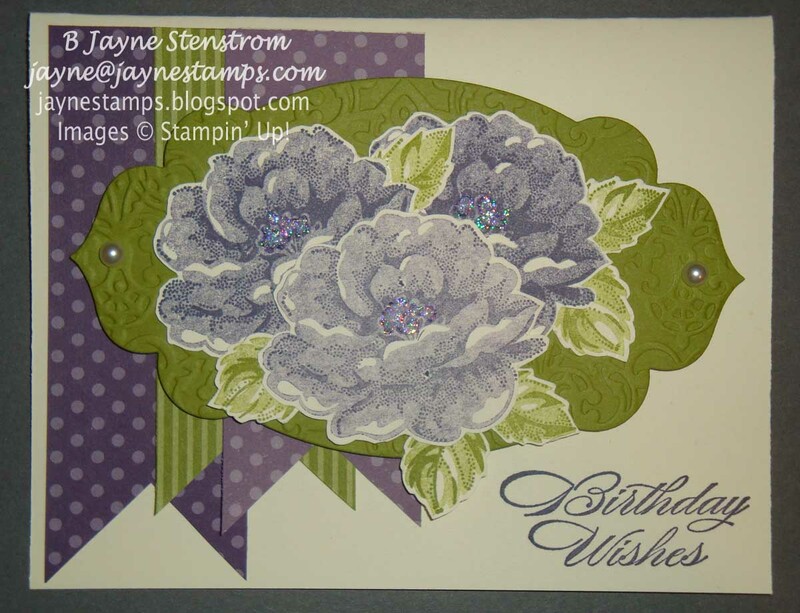 SUPPLIES: Stippled Blossoms stamp set, Pretty in Pink, Rose Red, Old Olive inks,Very Vanilla and Old Olive cardstock, Brights and Subtles Collection Designer Series Paper Stacks, Apothecary Accents Framelits, Lacy Brocade TIEF, Basic Pearls, Dimensionals. I also decided to try it in another color. SUPPLIES: Stippled Blossoms and Bring on the Cake stamp sets, Perfect Plum, Elegant Eggplant, Old Olive inks,Very Vanilla and Old Olive cardstock, Brights, Regals, and Subtles Collection Designer Series Paper Stacks, Apothecary Accents Framelits, Lacy Brocade TIEF, Basic Pearls, Dazzling Details, Dimensionals. So which one is your favorite? I can't decide! Any other colors or color combinations you think would look good? Let me know what you think.